Sermon for Easter Sunday, April 5, 2015. This is the twenty-eight sermon preached in English on thecloudchurch.org. It was preached by Pastor/Missionary Evangelist Robert Breaker, and shows the importance of the resurrection of Jesus Christ, and how it must be preached when one preaches the Gospel of 1 Cor. 15:1-4. 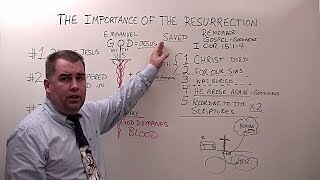 Related Videos "The Importance of the Resurrection"